OASFAA gave out its first recognition award in 1990. OASFAA has recognized several amazing individuals when they retired, but did not start giving out regular awards until 1998, when Mike Johnson (then President of OASFAA) brought back the policy of giving out awards. 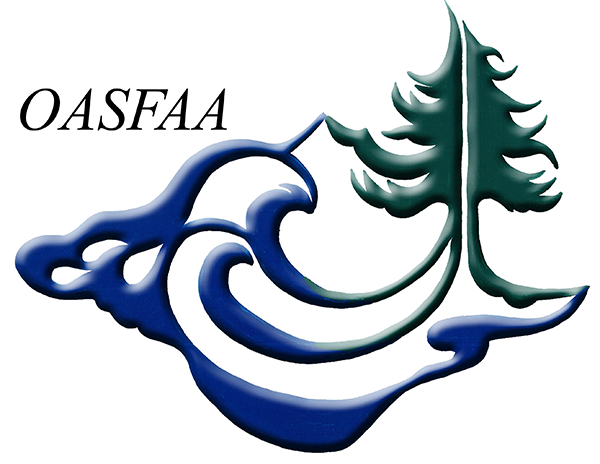 OASFAA is currently accepting nominations for awards for the 2019 annual conference. Award nominations should be submitted to Past-President Mark Diestler at [email protected] by close of business on December 7, 2018. What follows are the definitions of the different awards that are given by OASFAA and a listing of previous recipients and the year they received their honor. LIFETIME MEMBER: Lifetime Membership is awarded to a person who has made major and significant contributions to the profession over an extended period of time. Lifetime Membership is the highest award OASFAA can make and is only awarded in exceptional cases. The award is usually given at the time the recipient retires or otherwise leaves the profession. DISTINGUISHED SERVICE: This award honors an individual who has made significant contributions to OASFAA and to the financial aid profession over a period of time, or has made an outstanding one-time contribution to OASFAA and/or the financial aid profession. This award is generally given to an active member of OASFAA. UNSUNG HERO: This award honors an OASFAA voting or affiliate member who has demonstrated extraordinary commitment to Oregon students or OASFAA by working quietly and without reward or recognition on committees, at their institution and/or in the community, above and beyond the requirements of the candidate's job. FRIEND OF OASFAA: This award honors an individual who has provided exceptional service and support to OASFAA, the financial aid community, and students over an extended period of time. This award is generally given to a non-member or to an affiliate member of OASFAA. The Awards Committee Chair places a notice on the website in early fall and sends out a call annually to the OASFAA listserv, asking members to reflect on their observation of outstanding financial aid performance in and around their community and nominating that deserving colleague for an award. The call for nominations includes descriptions the four awards, along with the procedures and timeline for nomination. Membership responds by submitting a short description of the nominee's experience and the reason(s) for the nomination. The Awards committee meets and reviews nominations, making selections in early winter, prior to the annual conference in February. Supervisors of the Distinguished Service and Unsung Hero Award recipients are notified in order to facilitate recipient attendance at the annual conference awards ceremony. We are proud to have the following four annual awards to recognize deserving colleagues. Please take a moment to review the awards details and reflect on the generous contributions made by someone you may know.